What Areas Do the San Francisco Giants Need to Address This Offseason? After winning two World Series in the past three years, the San Francisco Giants have failed to live up to expectations this season. They have struggled all season, and they have several areas of concern that they will need to address in the offseason. The primary concern for the Giants this offseason is to find a serviceable left fielder. Last offseason, this was one of the Giants’ biggest areas of need as well. 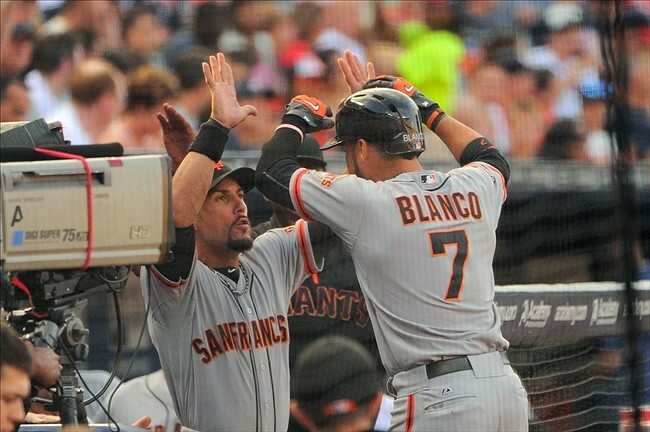 Going into this season, the Giants decided to go with a left field platoon involving Gregor Blanco and Andres Torres. When Angel Pagan got injured, Blanco and Torres had to share not only the left field duties, but also the center field duties. This, unfortunately, exposed each player’s weakness. These two players were meant to platoon, because they’re not everyday players. Blanco is fantastic defensively, but he hasn’t proved that he can be consistent offensively. Torres was weak defensively in left field but looked much more comfortable when he played in center field. He also was inconsistent offensively. If Angel Pagan hadn’t gotten injured and had played in more games this season, maybe the left field platoon would’ve worked. However, the Giants are going to need to bring more of a consistent offensive presence into left field. Blanco could still be used as a defensive replacement, spot starter, or pinch runner or hitter, but the Giants need to find a left fielder who is fairly solid both defensively and offensively, and, ideally, has some power. The next area that the Giants need to address is depth. Entering this season, the Giants had a pretty solid starting lineup. However, they lacked some depth off the bench pretty much all season. Joaquin Arias is a great player to have on the roster, because he’s versatile and solid defensively. For next season, the Giants need more versatility off the bench than just Arias though. Tony Abreu was injured most of the season, and Nick Noonan didn’t prove that he can hit consistenly at the major league level. The Giants need to add more depth in the middle infield, especially since Marco Scutaro has had back issues all season long and his dependability for next season is questionable. If the Giants could sign someone with some power off the bench, that would be especially helpful too. Another important area that the Giants need to address is how many of their key free agents they will be able to re-sign. It should be their top priority to re-sign Hunter Pence because of his power, defense, speed, work ethic, passion, and veteran leadership. 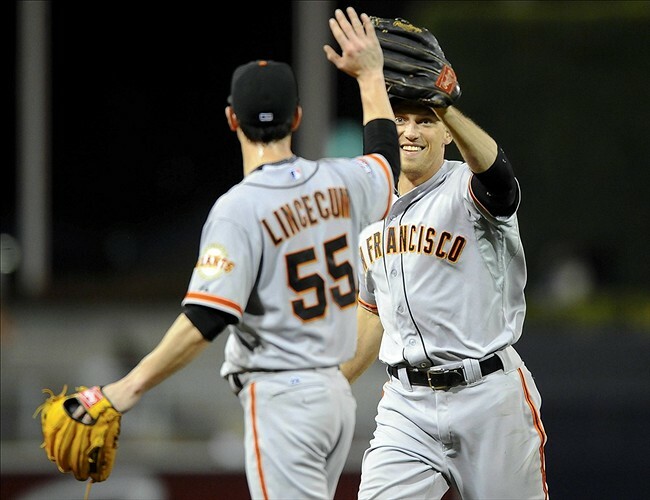 If possible, the Giants should also re-sign Javier Lopez and Tim Lincecum, because they are both key elements to this team for different reasons. Lopez is, arguably, the best lefty specialist in all of MLB, and he has become more valuable to this team than Jeremy Affeldt is. Lincecum has been a fan favorite for a long time, and he’s shown this season that he has evolved as a pitcher. At the right price, the Giants should definitely make a push to re-sign Lincecum. The Giants should also solidy who will make up their bullpen next year. The Giants saw some promising relief pitchers come up this year from Fresno including Jake Dunning, Sandy Rosario, and Heath Hembree. Some of these decisions will be dependent on if they are able to bring Lopez back, but, otherwise, Giants management will have to decide if they want to bring back George Kontos, Jean Machi, etc. They will also have to figure out their starting pitching rotation. Although Matt Cain has struggled this year, he’s still one of the aces of this pitching staff, along with the consistent, reliable Madison Bumgarner. It’s unclear if Lincecum will come back, and the Giants will also have to decide if they pick up Ryan Vogelsong’s team option for next season, which they probably will. After that, they have to decide who else will start. The Giants will most certainly not be picking up Barry Zito’s team option for next season. They will have to decide if Chad Gaudin should start or come out of the bullpen, if Yusmeiro Petit should start, or if someone else like Eric Surkamp should start. Although this has been a disappointing season for the Giants, they should have a pretty good idea what they need to improve on in the offseason. Hopefully during the offseason, the Giants get some serious rest too. Fatigue has seemed to be a big issue this season for many Giants players. If they’re able to get the rest that they need after two long seasons in three years and if they’re able to address the areas of need that were mentioned before, the Giants could easily be a playoff contender again next season.